What Does Minecraft Teach Your Kids? Worried since you couldn’t stop your daughter from playing Minecraft? Concerned about the obsession of your son about the super-popular sandbox game? Well, chill out! It turns out that Minecraft is not just an ordinary video game. Instead, it is seen as an educational tool helping children learn everything from art, science and math to basic skills in the real life, claims Guide Gamer. No bloody and violent action, Minecraft does have a very simple plot. If you seek out a game with gorgeous graphics, then Minecraft is certainly not for you. This open-world sandbox game is filled with trees, animals, buildings and people – all have the blocky style, just like Lego. Players, once entering this pixel world, are given a vast land to generate various kinds of structures of their own creations. Besides mining resources and crafting materials, you also need to battle against mobs’ attack to survive. So, what kids can learn from Minecraft? First and foremost, this game lets young players unleash their creativity. No rule or instruction, they and their imagination will run wild, beyond the basic. For example, they can create a farm full of flying chickens or a Pokemon world. In addition, kids will be able to learn things like engineering, urban planning, architecture and math. There are two basic ways to play in Minecraft, according to Guide Gamer. Choosing the survival mode, all you have to do are mining raw materials like wood, coal and dirt, and then generate a shelter and craft necessary items (torches, sword, etc.) so that you can deal with the invasion of Minecraft mobs when the night comes. In the creative mode, simply enjoy the building process with unlimited resources. Be creative and sketch all architectural whimsies in mind like flying castles or interactive constructions. Digging more into Minecraft, you will figure out lots of ways to form some fascinating machines and scenarios. 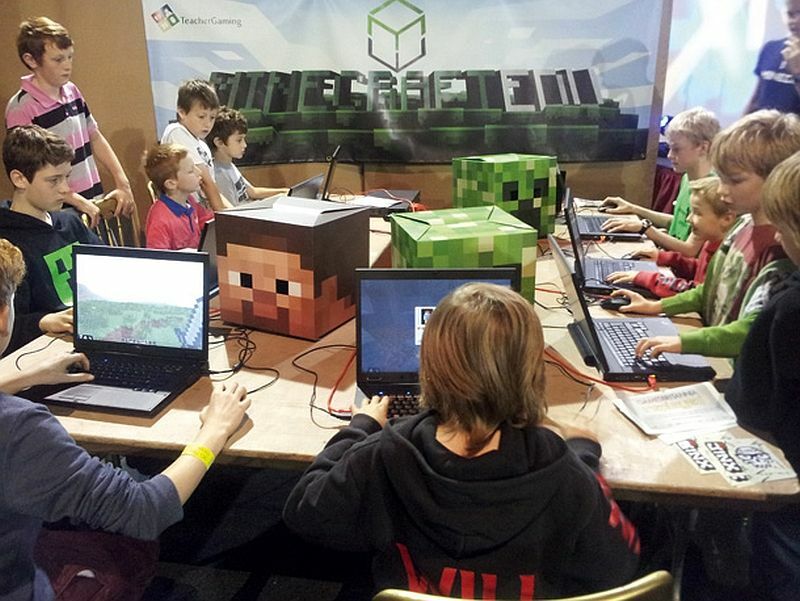 Through the Mojang’s sandbox game, kids can enhance their advanced computer skills. “Because there is no specific goal, no particular plot, no score, players have their own flexibility and freedom to do anything they desire,” says Jeff Haynes, a game analyst of Common Sense Media. Kids who start playing Minecraft at the young age will develop real-life skills like exploration, creativity, curiosity, and teamwork. In the education aspect, Minecraft is given a top “learning” score. Here, at Guide Gamer, your child can play Minecraft unblocked at school to not only satisfy their addition for this creative open-ended game, but also change their way of thinking about certain things.